My first rabbit was called Warren and he lived to the age of 10 which is a very good age for a rabbit. I have wanted to get another one since he passed away but, with Bob being so young, I thought that it would be best to wait. 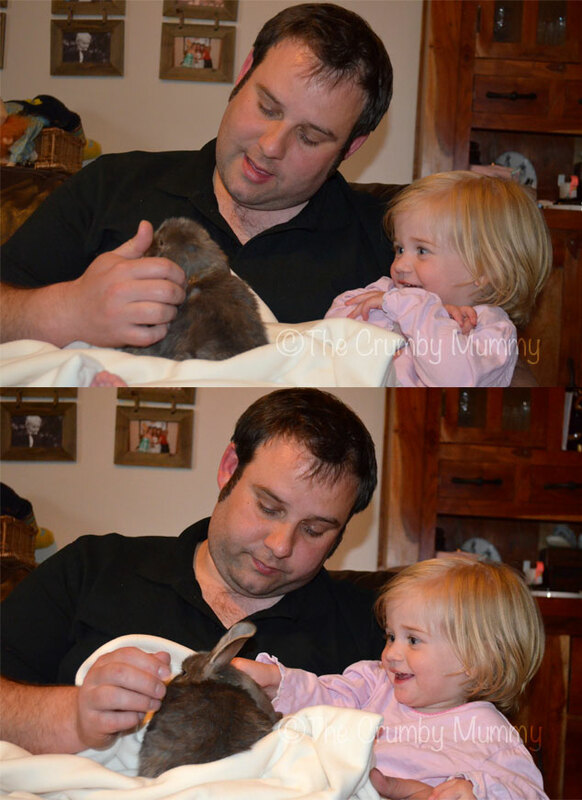 All of a sudden she just loved rabbits! We would go to the park and she would spend all day searching for a rabbit to cuddle. We decided that it was time to get a rabbit and after a lot of searching I finally found the one! I struggled to think of a name for him as I wanted it to be as fabulous as Warren what still being a human name. All of my pets have human names. If you have been having fun with photography, editing or you’ve photographed something fun, please link up below. If you would like to grab my badge or add a text link it would be much appreciated. Also, if you would like to tweet me your links I would be happy to RT them. 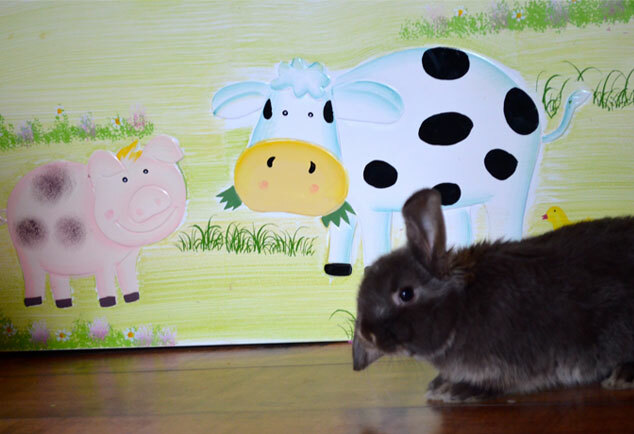 I had a bunny once…for a day. He chewed through my TV wires and climbed up my husbands sleeve in his robe and lift presents all the way up hahaha. He went back that morning. What a doll baby, she is beautiful what gorgeous eyes!! Thanks for stopping by today I appreciate it. Have a great day! Awww, very sweet! What a cute little bunny rabbit, I bet she just loves it!! The look on her face is just incredible. Aww! 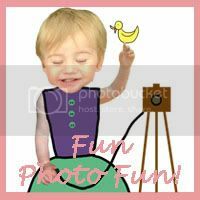 what cute pics heheh! Thank you! I have e mailed you. I’ve replied to the e mail that you sent twice but keep getting an e mail saying that my reply can’t be delivered. Is it alright to respond to the general e mail address? Your daughter is certainly happy with her new pet. Adorable pictures. Thanks for hosting. I love bunnies! We had a miniature one when I was a kid. If you stopped petting it, it would nudge you with its nose. And he was litterbox trained, so he just roamed around the house. Lucky you! Oh, he’s super adorable! She is so lucky to have a bunny rabbit. I’m sure Jasper is very happy in his new home.